The coffee is pretty unique in Vietnam and actually forms a great part of their culture. Here the Vietnamese coffee is part of socializing and as a result you can find Vietnam Coffee in different forms, formats and styles. Something to suit most tastes and satisfy most desires! We loved chasing the different Vietnamese coffee types and this is a quick guide to our favourites!! Delicious Sweet Milk Hot Coffee Vietnam Style! Whilst coffee is pretty popular as a Vietnamese drink, traditionally the choice of warm drink was, as with most Asian Countries, tea. It wasn’t until the 19th century where coffee was actually introduced by the French! According to BBC, Vietnam is currently the second largest export country of the hardier Robusta Vietnam coffee beans. Anyways enough with the history, let’s have a look at these delicious Vietnamese coffee twists on the western versions that we know so well! This delicious coffee completely took us by surprise! Whilst I had written down ‘TRY THE VIETNAMESE EGG COFFEE’ on the list of ‘must do’ whilst in Vietnam, neither me or Andrzej actually liked the idea of having egg with coffee and I must admit that I was a little bit scared to give this one a go!! But it was so tasty and delicious that we went back time and time again for this coffee, sometimes having it for dessert at 11pm at night!! This Vietnamese Egg Coffee is basically made by whipping raw egg yolks with sweetened condensed milk. This delicious creamy concoction is then placed on top of the more traditional strong Vietnam drip coffee. The topping of this coffee turns this coffee into more of a naughty dessert and has a taste similar to Cadbury Creme Eggs or maybe more like a liquid version of Tiramisu? 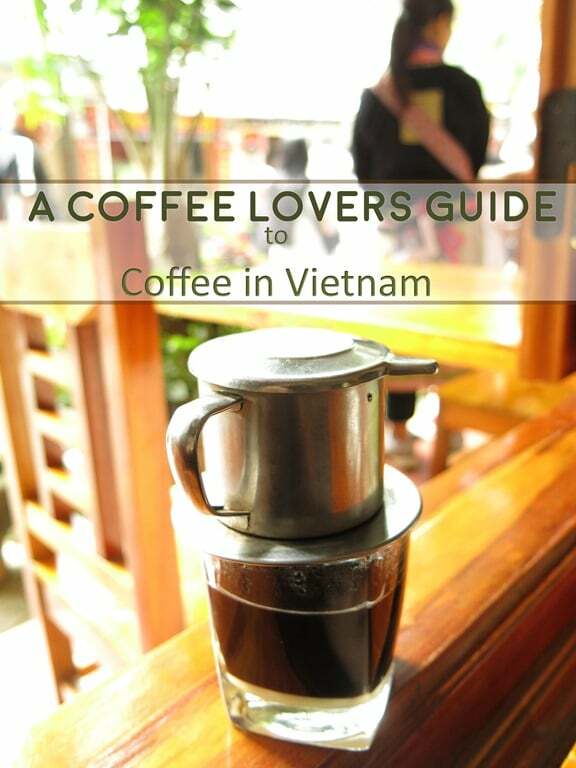 It is a must try – simply the best Vietnam coffee!!! Famous Egg Coffee Hanoi Giang Cafe! You can try this coffee as either a hot or cold drink. We loved the hot Vietnamese coffee version! And if you don’t like coffee, you can choose to have yours with chocolate instead – Cà Phê Trứng Cacao – which is truly delicious as well!! This coffee is found in the North of Vietnam! So whilst visiting Hanoi, make sure to look up some of the coffee shops who specialise in this coffee style! 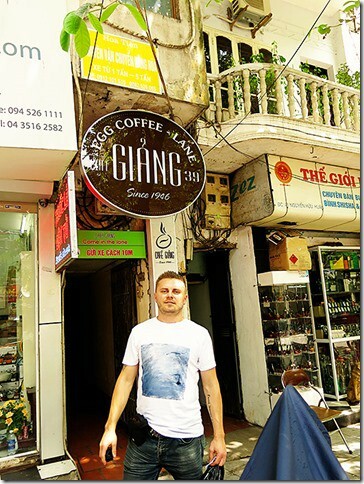 Our recommendation is to visit Cafe Giang (39 Nguyen Huu Huan street, in the Old Quarter). Having an offline GPS will really help here as this cafe is easy to overlook; it is down a pretty narrow little lane! Head upstairs as the area up there is much prettier than down below!! 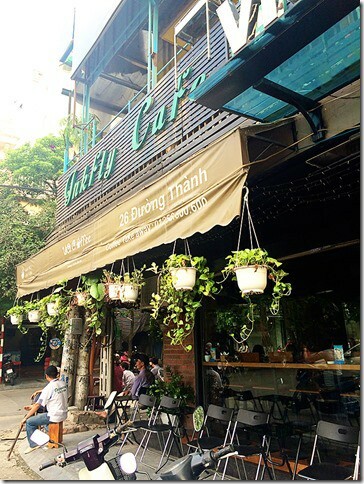 According to Giang Cafe’s site the little cafe is run by family, originally founded by Mr. Nguyen Giang in 1946. The coffee was created due to the fact that milk used to be scarce. He used egg yolk as the cream factor as a result! Pretty cool hey!!! 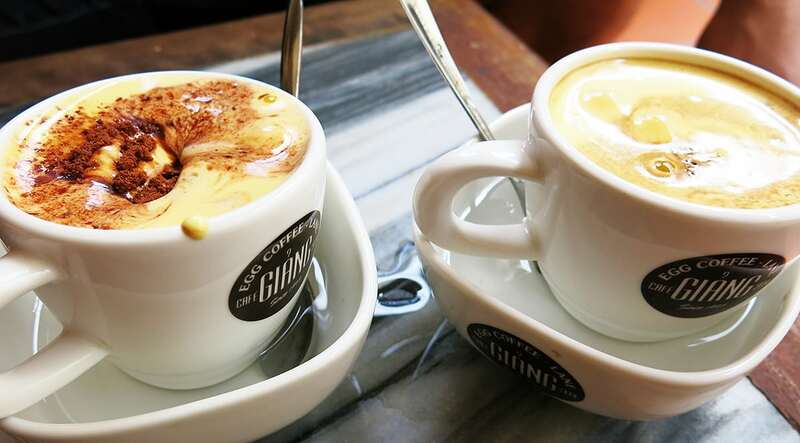 Make sure to give this Egg Coffee a try whilst visiting Hanoi!! Why is Vietnamese Coffee so Strong? The coffee beans used in the production of Vietnamese coffee are from incredibly strong, dark-roasted Robusta beans. These beans are fairly easy to grow and are grown exclusively in the Eastern Hemisphere. The Vietnam coffee drip adds to the intense rich and dark flavour of the coffee, add in the fact that they don't add a lot of cream or milk and you are left with a pretty strong coffee! Vietnamese coffee is more typically known as a potently strong coffee with a good sugar kick behind the sweetened condensed milk! Believe it or not, but the yummy sugary kick behind the condensed milk is a beautiful counterbalance to the incredibly strong, slightly bitter, dark-roasted Vietnamese coffee that you find here! The Vietnamese drip coffee is usually filtered for individual purposes using a phin (see photo below), which consists of a small cup, a filter chamber and a lid. Once the coffee has dripped away onto the gorgeous creamy layer of condensed milk at the bottom, you remove the lid, place it upside down on the table and pop your filter chamber on top. This lid will then capture the rest of the coffee dripping away, which otherwise would create a bit of a mess!! Give your coffee a stir and enjoy!!! 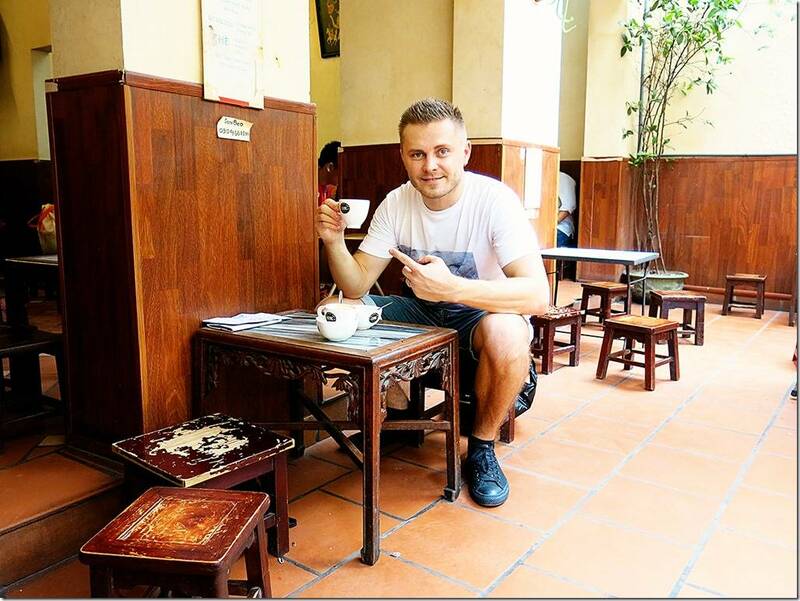 Andrzej was a bit addicted to this style of Vietnamese coffee but I must admit that it was a touch too strong for me, so I was content to take photos and videos while he enjoyed his delicious coffee!! You can try this style of coffee in either a hot version (Cà Phê Sữa Nóng) (as seen above) or as an iced coffee version (Cà Phê Sữa Đá) (as seen in the video below). 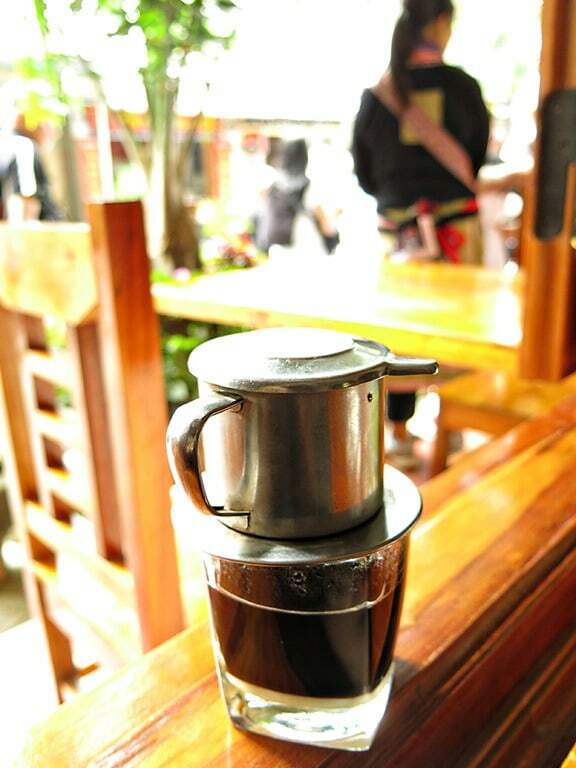 This style of coffee is readily available throughout the whole of Vietnam. 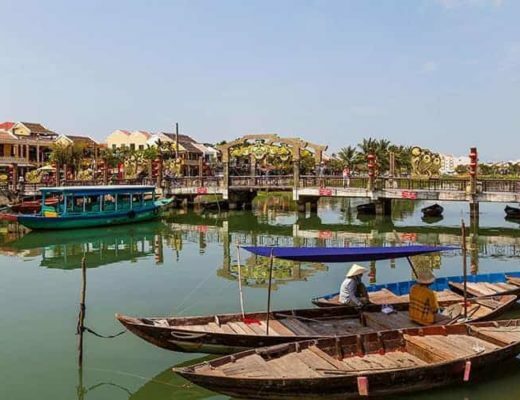 It is the way that the Vietnamese drink it, so you can find it in sit-down cafe’s as well as next to the busy streets at little plastic stool vendors. Andrzej enjoyed this coffee at a multitude of different cafe’s during our stay in Vietnam. The coffee pictured above was enjoyed at Ngân Nga restaurant in Bac Ha. 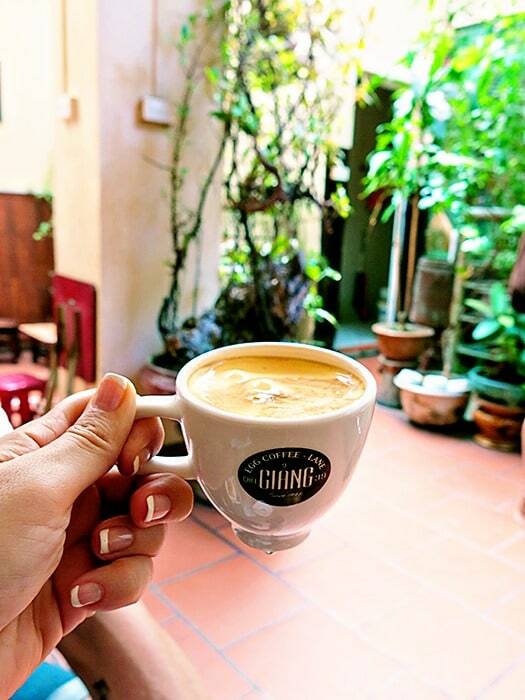 The coffee pictured in the video was enjoyed at Cục Gạch Quán restaurant in Ho Chi Minh City. Watch this video about how to drink Vietnamese coffee! This coffee is made drip by drip. This classic slow drip method for the Vietnamese who live incredibly busy lives is a forced reminder to slow down. It gives a person a time to socialize and just be still, if even for a moment, and believe us that sitting down for a drip coffee can be a perfect escape away from the crazy hustle and busy that you find in most Vietnamese cities! 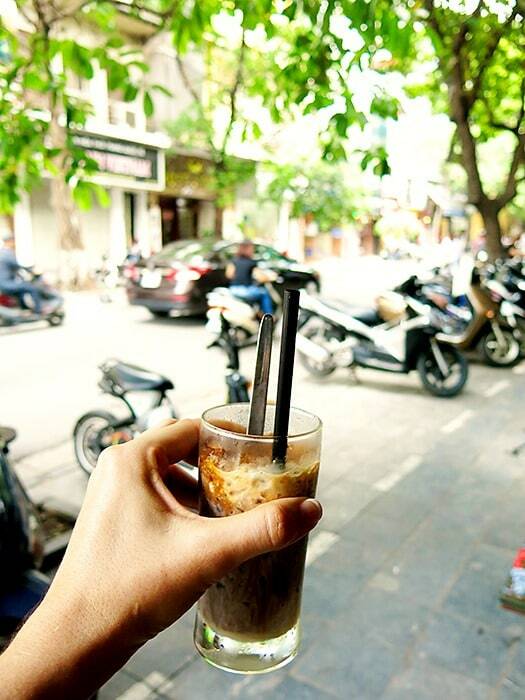 Try out our popular coffee cafe walk in Hanoi! 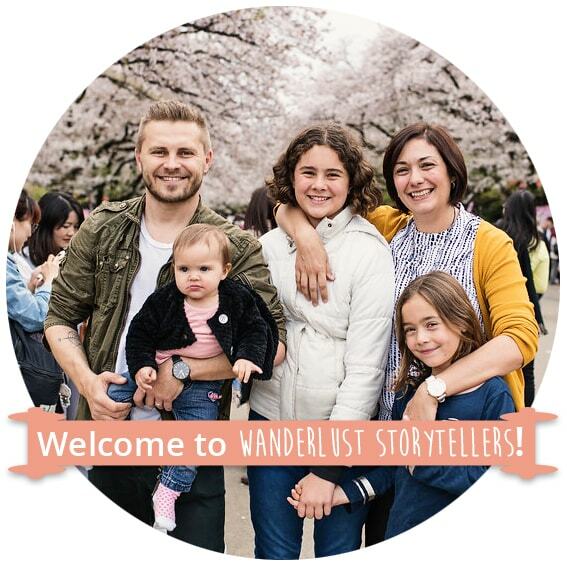 Visit 5 cafes, each specializing in their own unique style of coffee! And lastly, a favourite of mine was a mix a Vietnamese iced coffee version of coffee, coconut and condensed milk. It was not too strong and not too sweet, I thought it was simply perfection on what happened to be an incredibly hot day! Iced Coconut Coffee Vietnam Style! You can try this version as either a Vietnamese iced coffee coconut milk or if you head to Cong Caphe you can try your hand at a coconut coffee Hanoi smoothie which is essentially drip coffee with frozen coconut yogurt. 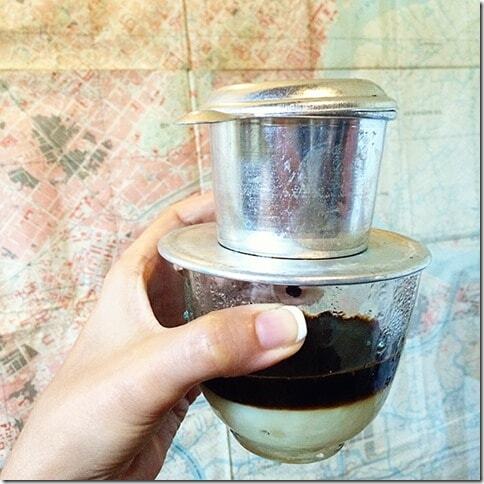 Where to Find Vietnamese Coconut Coffee? I enjoyed this delicious glass of Bac Xiu Coffee at Vici Coffee Cafe (26 Đường Thành) in Hanoi. We came upon this cafe by chance as we were exploring the city and simply needed a break from the heat, so headed into the first air-con cafe we saw! What an awesome find! It can be a bit hard to find coffee from Vietnam here in Australia (and espresso at home is a poor substitute! ), so we can’t wait to return again, to enjoy the delicious range of Vietnam Coffee! 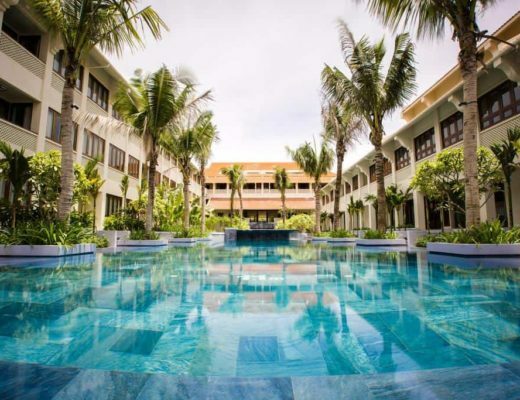 For more information on what to do and see whilst visiting Vietnam, click here. You’re missing “salty coffee” — found in Hue, Vietnam ☺️☺️ Similar idea to your egg coffee but tastes more like caramel or toffee. Oh What!!! That sounds DIVINE!!! 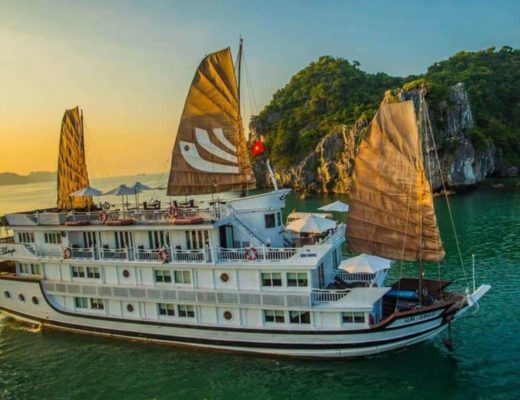 Just returned from Vietnam recently for a return-trip and wish I saw this before we went 🙂 On my list to try out next time, yumm!